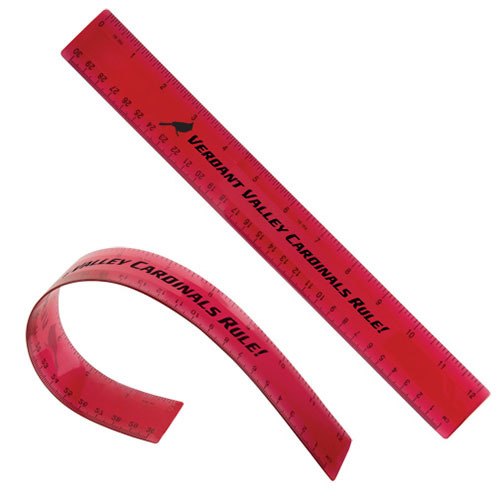 Show how flexible your business can be with this 12" Flexible Ruler! Measuring 12 5/16" x 1 1/2" x 1/16", this ruler features a 7" x 5/8" section for customizable inserts. You get a generous section to imprint your organization's name or logo.This is an ideal promotional item for schools, office supply stores, doctor's offices and kids' clubs. 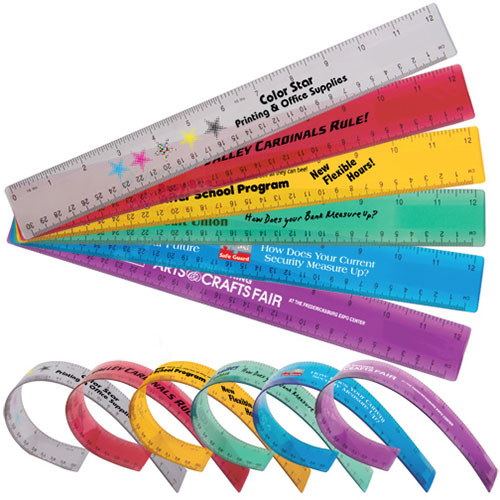 Separate yourself from the competition with memorable giveaways and you will see success!